Our model lab is located in Lima, Peru and is comprised of 6 stations all fitted with Zeiss Microscopes, drills, and suctions machines. One pro stations is fitted with a video system to show live dissections and as well variations in bone anatomy. 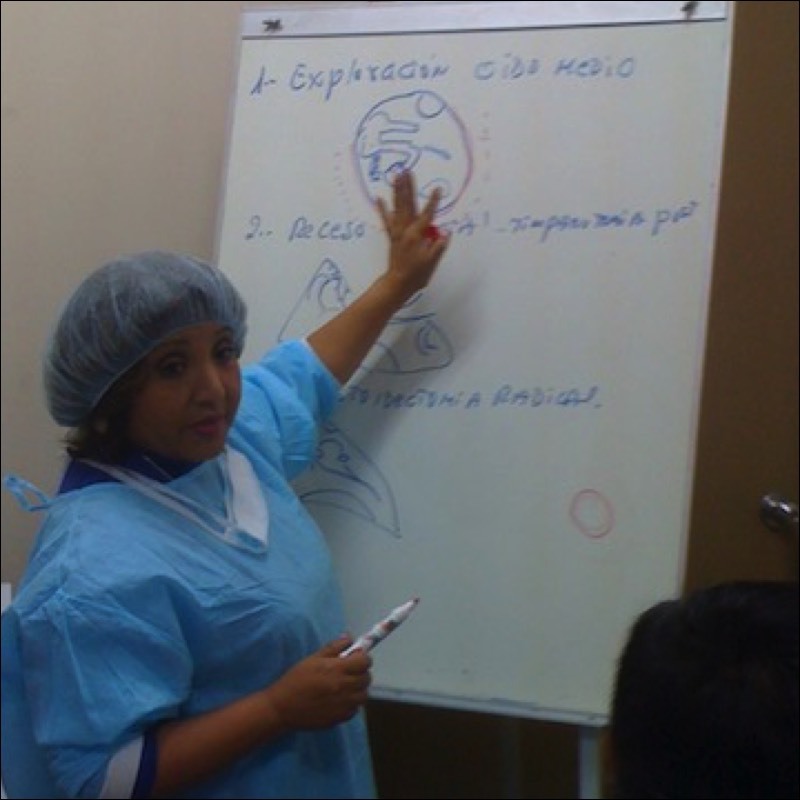 The course in Lima, Peru was initiated in 2008 and since then has taught over 150 physicians in the course of its 14 courses, which are given every six months. 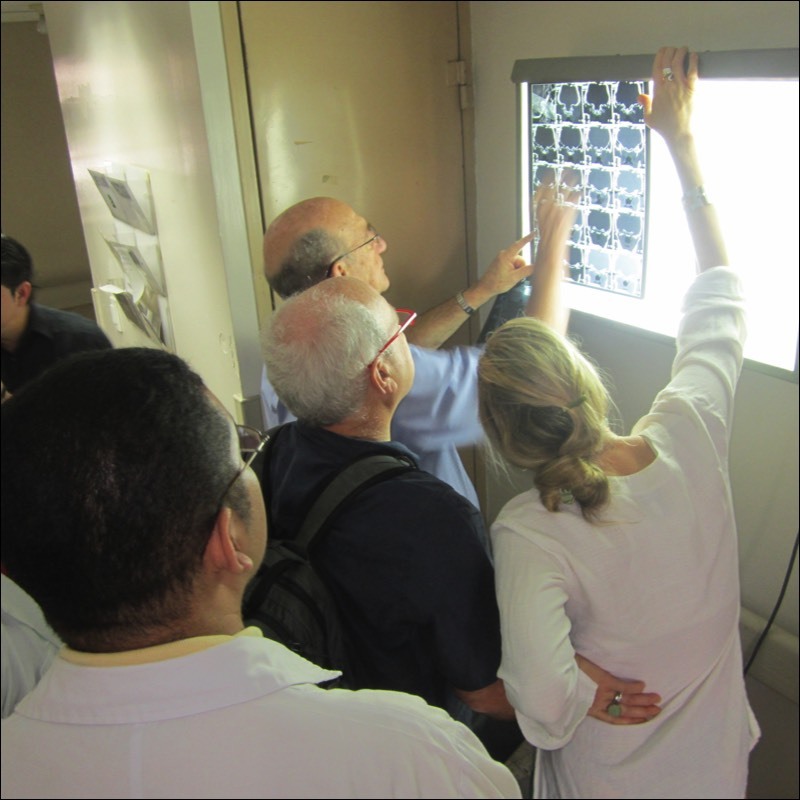 The course includes lectures, live surgery, and 12 hours of drilling in the temporal bone lab. 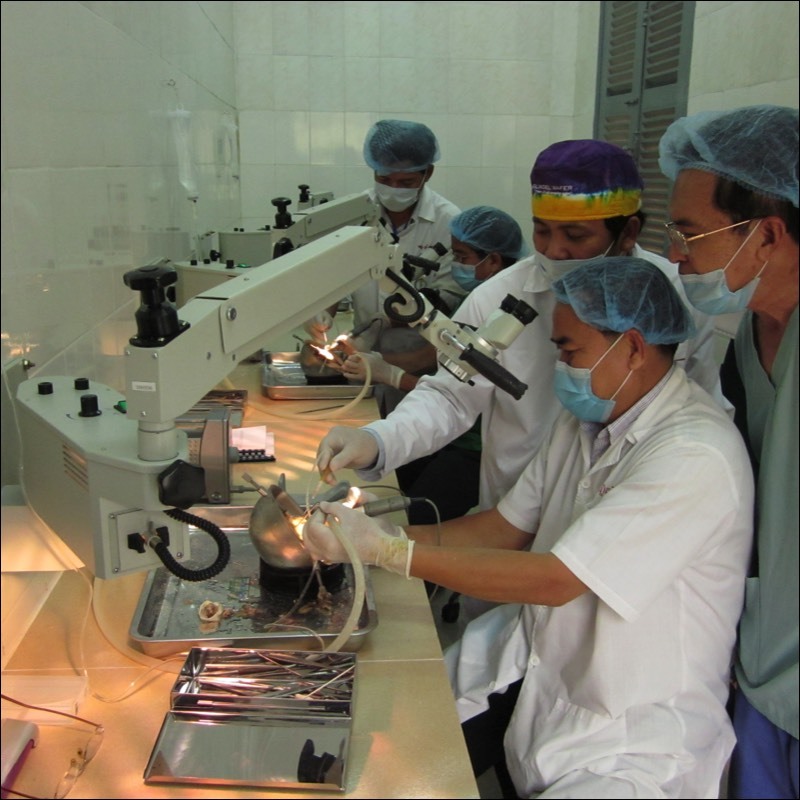 Conveniently located next to the lab is the operating theater where live surgery is performed. 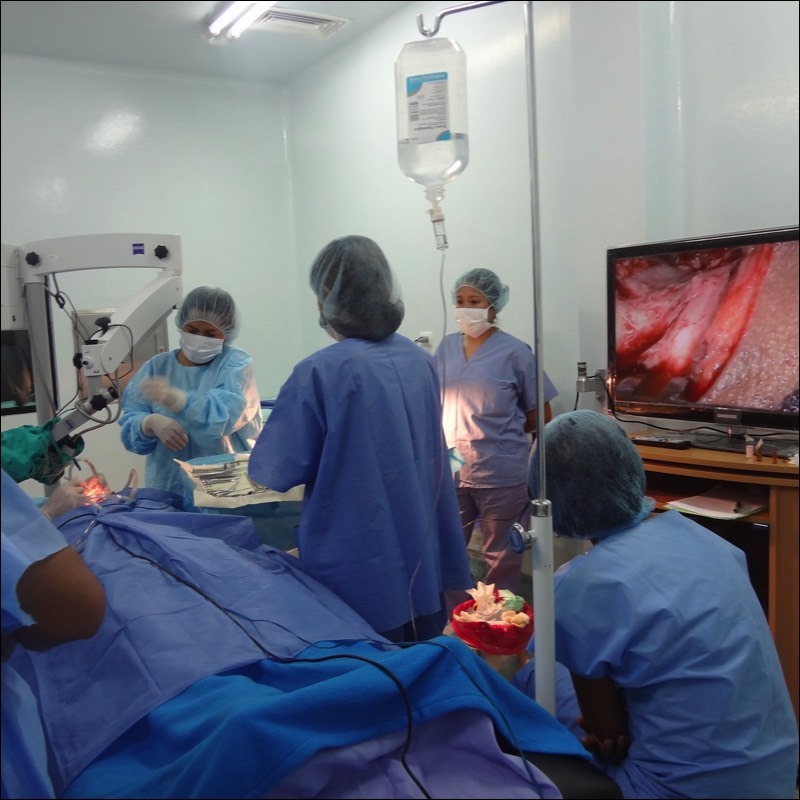 Course participants are taught the basics of ear surgery, including underlay and overlay techniques of tympanoplasty, canal wall up and down mastoidectomy, ossiculoplasty, canalplasty, and other techniques mandatory for performing safe and successful ear surgery. The course is open to ENT physicians and residents from all countries. Participants from Bolivia, Peru, Ecuador, and El Salvador have attended past courses. Customarily, a visiting guest ENT from overseas participates in teaching the course and shares their experience both in the operating theater and the laboratory.